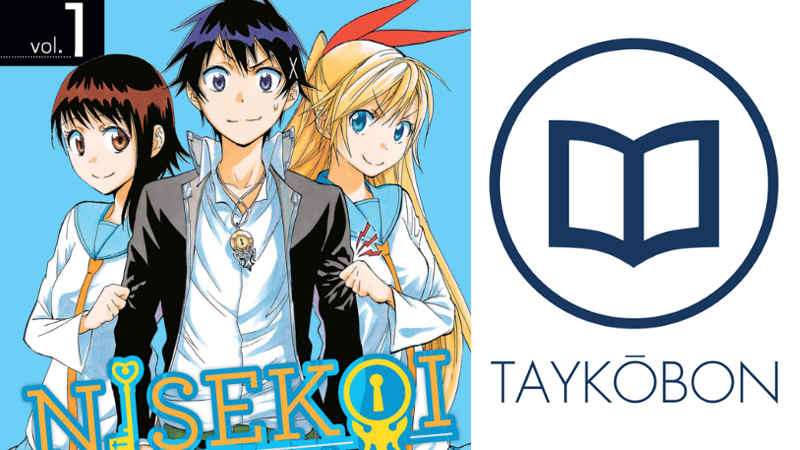 Nisekoi is a romantic-comedy series serialized in Weekly Shonen Jump in Japan beginning serialization in 2011 and is currently ongoing with 16 tankobon volumes released. The story follows high school student Raku Ichijo as he is forced to pretend to be in a relationship with Chitoge Kirisaki. Both of them are the children of the leaders of two feuding gangs and must date against their will in order to keep the peace between the two groups. Meanwhile, Ichijo searches for a girl who he made a promise with ten years before, with his locket a memento of this promise. Fans of romantic-comedies (with emphasis on the comedy side) as well as people who enjoy harem series. If you enjoy exaggerated shonen comedy, you’ll find a lot to like here. The comedy is great so far, and I particularly enjoyed the over-exaggerated reactions of all the characters in various situations. A highlight for me was the reaction of all of the Yakuza members in response to Ichijo’s apparent success in finally dating a girl. In general, the reactions of the background characters are fantastic. The art is clean and quite pleasant to look at. The characters all have memorable designs and the art-style fits the tone of the story well. I’m not sure how much I dig the whole story line with the locket and the chain, I generally felt the base scenario involving Kirisaki and Ichijo was enough to fuel the plot. It will really depend on how well the payoff for the locket is used in the future, but the whole “will they or won’t they” between Onodera and Ichijo regarding the locket could get old really fast. I suppose the fact he’ll have to chose between these two girls will be the chief source of drama in the future, but I’m more immediately compelled by the central story line between Kirisaki and Ichijo as they try and fake a relationship. I enjoyed this volume and look forward to reading more of this story. The general plot itself doesn’t quite grab me as much as I would like but the comedy is strong enough to keep me coming back for more. I really hope that the characters continue to be developed as this will be needed to keep the plot moving and prevent a total reliance on situation comedy to entertain readers. If you’re looking for a funny and comedic series with a hint of love in it, Nisekoi is the series for you.